What is gastronomic luxury? In a recent column in the World of Fine Wine, the thoughtful British food writer Francis Percival talks about “two competing visions” in the contemporary restaurant world: on the one hand, “checklist luxury”, which “comes from what the experience contains … the luxury of perpetual filet mignon and lobster”. Then there’s the “luxury of expertise”, where “integrity of agriculture and uniqueness are the key concepts … a cuisine of knowing about stuff”. Both visions have, of course, their devotees – and both visions can also apply to the world of wine, inviting us to look beyond what often just seems to be a matter of taste, to more structural divisions, often determined by shadings of class and education and experience. I might suspect that most readers of blogs like this tend to be more or less committed to the “luxury of expertise” – though the apparent interest in, say, Wine Cellar’s “Top luxury red” tasting, and the results of the tasting, make me wonder about the truth of that. The 12 “contestants” in the 2016 taste-off were selected on the grounds of being particularly expensive local reds plus a bit of manipulation by the organisers to bring in some of their favourites – see the report here. Without going into detail, I’d say that most of the wines were in the “checklist luxury” group (of course the first item on any checklist is the price – a crucial matter, as marketers know: often enough the point is to make the wine expensive enough to interest the luxury consumer). The criteria for this group would seem to me to include: notable ripeness and plushness; being based on cabernet sauvignon; coming from Stellenbosch; a tendency to sweetness of finish; a notably oaky character. In fact, of the 12 wines at the tasting, only three were from outside Stellenbosch, and those three stood out in not including cabernet. Two of them were the least expensive in the line-up: Sadie Columella and Mullineux Schist Syrah. I’d be happy to argue that these two were also, of all the wines, the most suitably fitted for the “luxury of expertise” category rather than the “checklist luxury” one. Rather coyly and irritatingly we didn’t get the full results on the Wine Cellar blog, but were told that Columella “didn’t rank well in the tastings”. Incidentally, it would have been a fascinating exercise to get people’s opinions of the line-up before the tasting as well as via the tasting – I bet most of them thought they’d admire Columella and Schist Syrah more than they actually did in practice. It’s a bit like that well-known phenomenon of so many people claiming to prefer dry white wines but actually preferring sweeter ones. If we can assume that all these ultra-expensive wines actually sell well (and I think we can), it’s probably right to conclude that the “checklist” rather than “expertise” version of luxury is the dominant one in South Africa – I suspect it is in the world, too, with the Robert Parker model of wine still an integral symptom. Surely the quintessential luxury Cape wine is De Toren Book XVII (a serial top performer at the “Luxury red” tasting: opulent, soft, oaky, cabernet-based, absurdly and kitschly packaged (and very well made). And De Toren is surely the quintessential Cape producer of a range of luxury wines that are the equivalent, perhaps, of filet mignon and lobster. 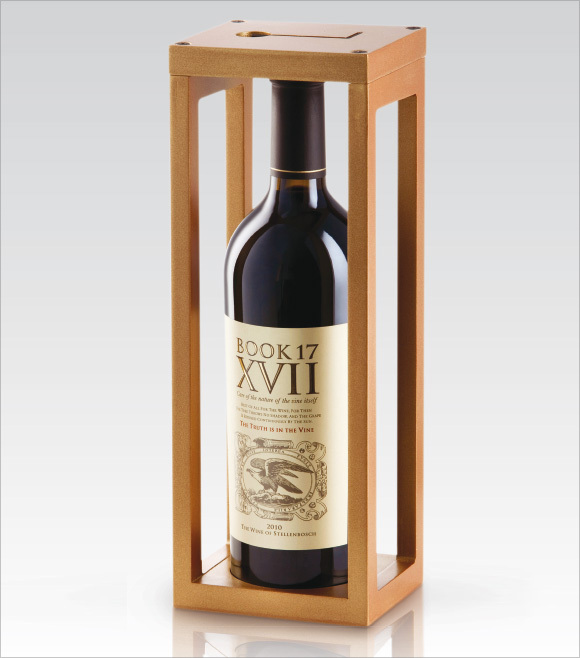 Talking of packaging, however, it’s perhaps sad to note that possibly the only thing that at least most of the expensive wines have in common is unnecessarily heavy bottles – one of the key signifiers of quality and luxury in the modern wine world. Eben Sadie (great exemplar of “integrity of agriculture and uniqueness” though he be) is one of the worst offenders: I mildly curse him every time – and it happens continually – one of his damn bottles jams the sliding tray in my wine-cooler. For more on the last year’s SA Luxury Red Wine Taste-Off, click here. Tim always love your opinion. Agree with what you’ve said but I feel that generation by generation, new consumers will slowly move toward preferring the latter category of luxury. After all, doesn’t it make more sense to appreciate the authentic… wines which serve as a true doorway into their terroir, being made in the vineyard rather than in the cellar thus yielding a sense of place… rather than the worldly… cellar-crafted wine, made to a recipe, boasting a label that people revere because it allows them to belong? We are the hollow men but the times they are a changing. Over time I feel that those producers who put wine first will make the most economic progress. Young consumers are yearning for producers who are real in this mixed up world and that can’t be faked by a label or an advertising campaign, the palate doesn’t lie.